NEWLY-APPOINTED Zanu PF women’s league boss Mabel Chinomona said she survived a heart attack following her expulsion from the ruling party more than a decade ago after being accused of being part of the infamous Tsholotsho Declaration which was allegedly aimed at staging a coup against former President Robert Mugabe. Speaking during celebrations in Marondera recently to mark her recent elevation as Zanu PF women’s league boss Chinomona, who is also Mutoko North MP, said had it not been the timely financial assistance she got from Health and Child Care minister David Parirenyatwa and former provincial chairperson Ray Kaukonde, she could have died. “Let me narrate what transpired: Exactly 12 years ago, on December 22, I had a heart attack over the Tsholotsho issue,” she revealed. Chinomona, who is also Deputy Speaker of the National Assembly, suffered a series of verbal attacks and expulsion even at provincial level allegedly at the instigation of her predecessor in the women’s league and former First Lady Grace Mugabe. She said Parirenyatwa and Kaukonde chartered a plane after Air Zimbabwe refused to travel with her due to her condition. “The doctors had said if I was not taken either to South Africa or the United Kingdom, just kiss her goodbye, it’s over,” Chinomona said. Chinomona was recently appointed women’s league boss following the ouster of former President Robert Mugabe, his wife Grace and the G40 cabal. Before her fallout with Grace, Chinomona was the women’s league secretary for the commissariat. “I held the provincial women’s league post for 15 years. I know this province from corner to corner. But there is someone who came and just expelled me. How do you see it? 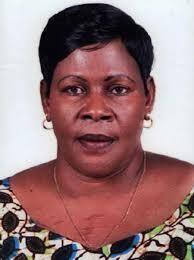 Someone saying we cannot work with this person, but Zanu PF is good, after being a member for a long time here we are,” she said. Chinomona said her new role was a reward for working hard.